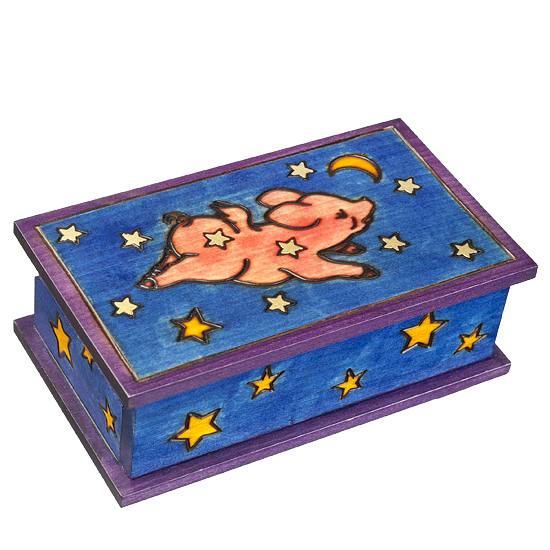 Flying Pig with stars and moon, secret box with shifting front panel. Next time someone responds, "When pigs fly", you can use this box as proof. An original EWB design by Teresa Witkowska.